S.Y. GROUP Date of Establishment : September 17, 1997 Capital : 3 millions BAHT (US$ 75,000) Number of Employees :37 Annual Sales Volume : 204 millions Baht Fiscal Year 2017..
- From engineering design to manufacturing machinery for refrigerator , air-con , automotive and home appliances related Industries. - Trading of welding , brazing , machinery and PU pumps accessories spare parts. From maintenance to overhaul or retrofit service for all PU related industries. ROTARY POWER Hydraulic Motor and Pumps. We are a company with the intention highly satisfaction to all customers.With the application of quality management systems. To ensure our customers that All products from our company. Quality to meet customer requirements and to meet the specific customer. With its commitment to provide our customers with quality products. And standard services. 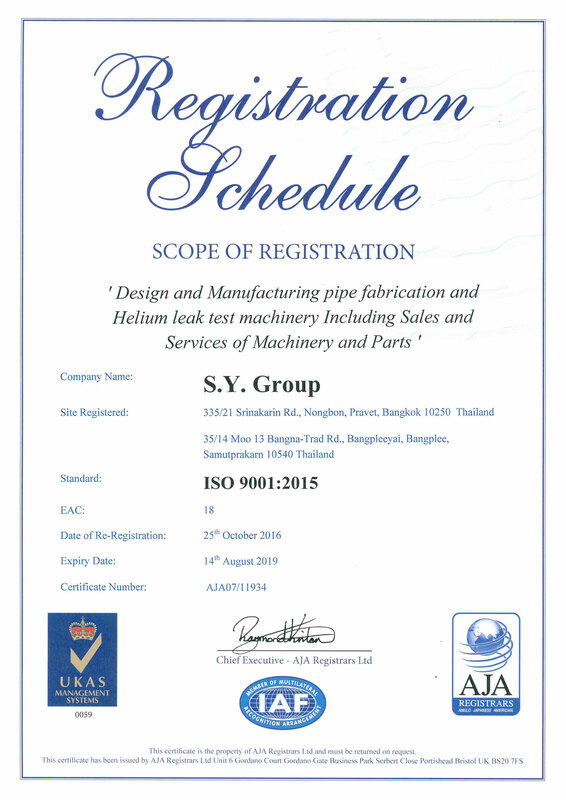 We have adopted ISO 9001:2015 quality management system applied throughout the organization. In compliance with the quality objectives. "The satisfaction of our customers. With professionalism. And continuing to improve" the quality of our people and our systems. 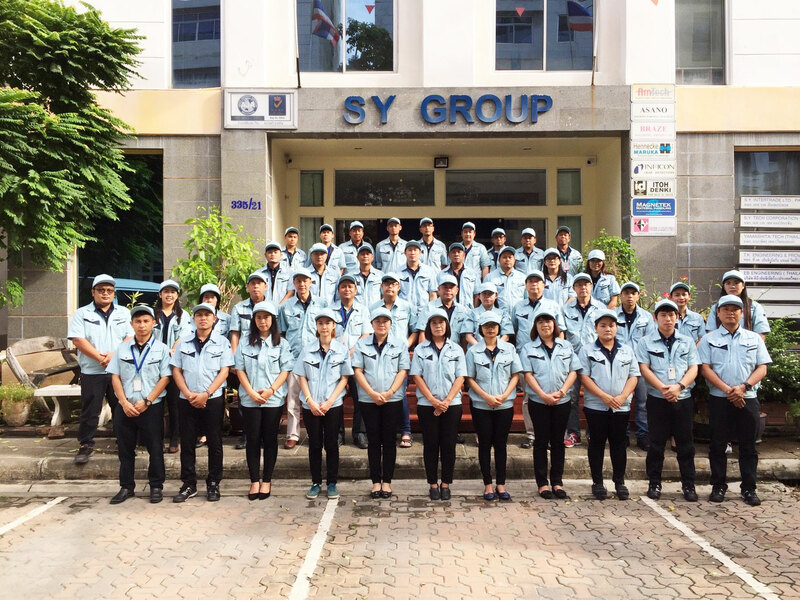 In addition to providing your business with the best industrial solutions, SYTC also stocks and supplies consumables and machinery parts, provide after sales technical service, perform mechanical and electrical installations of industrial equipment. 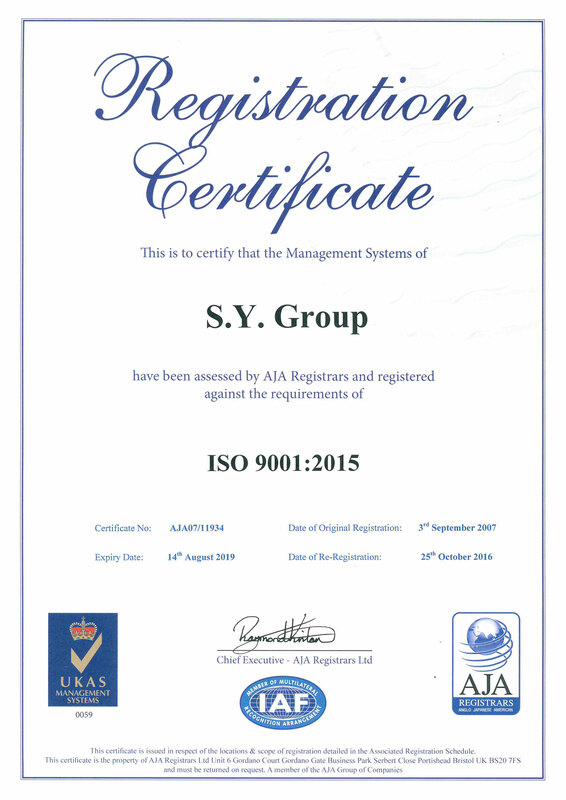 We are accredited ISO 9001:2008 AJA and UKAS quality management system and we have a firm commitment to maintain. And is continuing to develop a "customer" for all of us. EB Engineering Thailand Co. Ltd.